ANNOUNCEMENT : We thank God for the return of Schist to be a blessing to the many Filipino compatriots who read our blogs here. Welcome back Schist! Most people do not want to experience pain. Who wants it, right? Society has conditioned us that we should always present ourselves smiling and happy. Our social media accounts post photos about us having the best times of our lives. While it is indeed a consolation that in life we have happy moments, we should also be accepting of the reality of pain. The Bible has tons of stories of people going through painful experiences. Job would be one of the most important examples of a person that has gone through tremendous amount of loss and physical pain. What Job went through was extremely tough. It resulted in his anguish of mind and spirit. It’s so much more than just bodily pain, the loss of all his children and life’s comforts had only aggravated the suffering he was going through. How would you feel if you being a man of honor and respect in your town was suddenly hit by a calamity that has taken away everything from you? The Bible noted that Job was a righteous man. Yet despite being a believer of God, God didn’t spare Job from life’s sufferings. One of the many comments I read and hear from people is that Job questioned God. And yes, he actually did! When we are in pain, talking to God about it helps out tremendously. Job was honest before God. God leaned in on Job in the last few chapters of the book and answered the man’s questions. God doesn’t walk away from hard questions and won’t leave us in circles. His wisdom is infinite while ours is finite. Ultimately, Job realized that he was nothing before THE Maker. Pain is a part of life. Yet I have understood that it is also through pain and suffering that we get to depend on Christ and lean on His strength to get us through the ordeals of life. It is in pain that we learn our greatest lessons- lessons that help us become better people and ultimately, better children of God. It is also in pain that we reflect our humanness and the temporal condition of our being. Whatever hurt and suffering we may be going through, I pray that we draw ourselves closer to Christ. The book of Psalms repeatedly reminds us that “God is our comfort, our fortress and our refuge (Psalm 46).” He is the one who doesn’t change no matter the season, no matter the circumstance. 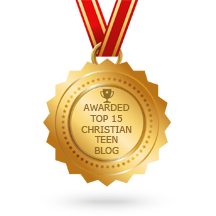 This entry was posted in A CLICK A BLESSING TODAY, CHRISTIAN LIFE AND THE WORD, CHRISTIAN TAGALOG BLOGS. Bookmark the permalink. Praise the Lord in the lows and highs of life, what makes the difference is His presence, His control of every situation. He is Lord and when we draw near to Him, He will draw near to us. Hallelujah!